No one can predict the future and this inability makes us do things which we would have wanted to undo when the outcome hits the nerves. Kuppuswamy is in distress over the deadly disease that had hugged him hard. Fighting through, Kuppuswamy tries to keep calm. Will he sail without drowning? Or would the disease break him? The title of the book is better than the cover. 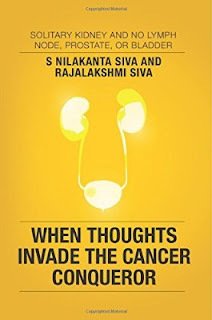 The whole idea of the author behind writing the book is making people understand the depth of the diseases which are caused by the bad habits, prevalent in the present scenario. But the cover doesn’t say the same. Though the tale is non-fictional but it is said in a fictional manner thus more imaginativeness would have added extra stars to its credit. The whole bunch of family is present in the book. The far relatives, the kids, the grandkids, team of doctors, physicians and the list continues. Every person had a very distinct role to play and as it was a real life story the characters felt more close to the heart while reading the tale. I loved Kuppuswamy for his bravery and his wife Pramila for her patience. Also all the minor characters were helping the tale in a broader sense and thus every one must be characterized as the soul of the tale. The narration of the story is in third person. Well, I was hoping it to be a first person narrative because the emotions were laid back. If and only if Kuppuswamy would have taken the strings in his hand to depict his side of the tale then maybe reader could have reached the deepest cores of his mind. The story started without any delay in proposing a background or a setting. The tale was cut short to the phase which needed the most attention. From the very start it was certain that the tale wouldn’t be that easy to grasp. With all the details and the pain from the initial level, the book has came up with high splendour. Minuscule images were brought in light and every element came up really beautifully due to the highly provoking story. The finish line can never be touched without the help of supporters and cheering people in the pavilion. Kuppuswamy was always surrounded in crests or troughs to move ahead with determination and author has penned this part of the story well. There were many people who came in front from time to time to show the same. The tale becomes really inspiring when the second stage of the treatment process is in movement. The post dilemma is much-much dangerous then the pre one because one knows all the ins and outs. It was the first experience for me to read all this in detail and every turn was hard to inhale because it gave deep pain to know how much one would have suffered. Such was the intensity of the tale. 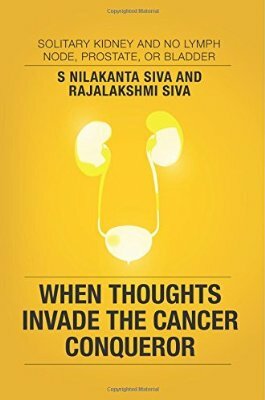 Whole book seemed like an arena where on one corner were Kuppuswamy and his family and on the other end was this deadly disease. The book can be used as an inspirational and a meaningful novel for those who are addicted to such ill practices or for those who are associated with such people. So, all in all motive of the author is achieved. They have generated awareness by sharing their experience. Summing up- The book was a great summation of the journey of a family who were chosen to fight. It can be used as a guide. Kudos to the author for going back in the time and experiencing each and every thing again for writing this book. •The depth in which the topic is dealt with. •I thought that the details were much and emotions projected through the story were less. Though I don’t support an emotional tale, I just wanted to sniff a little more deeper intensity. A never dying spirit rules on every page of the book. It is a must read for those who are fed up of their life or those who have people around who are diagnosed with such dangerous diseases. S Nilakanta Siva was born in Mumbai. His early education was in Delhi. Sivaram graduated in physics and mathematics and did his post-graduation. Sivaram led several public awareness programs to highlight the benefits of atomic energy. Sivaram, along with his wife Poorna aka Rajalakshmi Siva, narrates the tale of how they together conquered the disease. Thanks madam for a well crafted review. Made us feel like we were in the same boat as the protagonists.